Want to network in true spirit of diversity, experience the impact of new and emerging technologies and listen to inspirational presentations about shaping the future? Then don’t forget to apply to an unforgettable evening at Accenture Strategy’s Stockholm office! 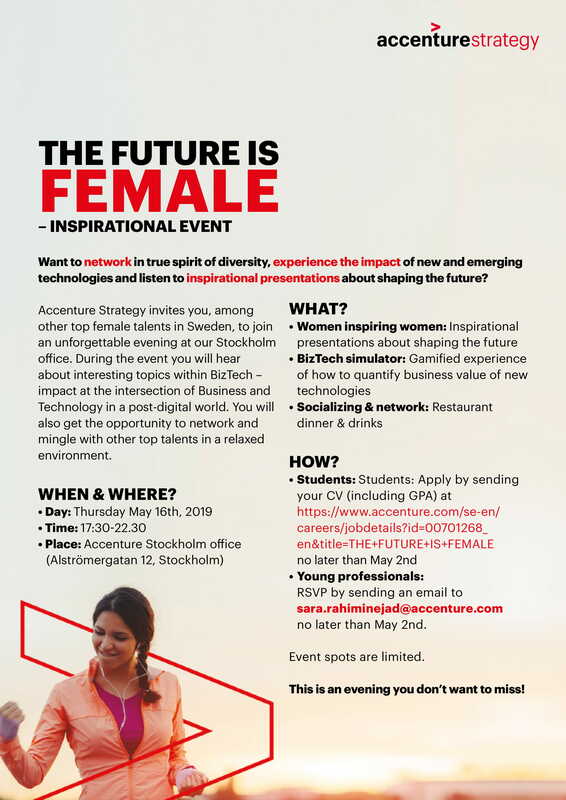 Apply to Accenture Strategy’s female event by sending your CV (including GPA) at https://www.accenture.com/se-en/careers/jobdetails?id=00701268_en&title=THE+FUTURE+IS+FEMALE no later than May 2nd. Event spots are limited.